WTF is a tennis bracelet? My jewellery terminology is not too shabby but every now and again I stumble over a phrase that from the colloquial use maybe I should know. Tennis Bracelet was one of these phrases. In my mind, I was thinking is it a bracelet with a tennis-themed charm? Or is the metalwork structure like the criss-cross of a tennis racket? 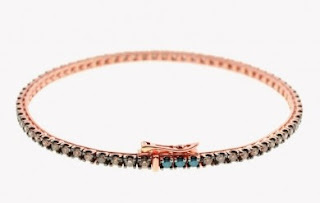 For a while, I enjoyed silly ideas of what this might mean before I looked it up and would you know it I have owned a tennis bracelet, and I would gather that many people have and still own one. Mine was something I bought when I was probably 12 years old from Clare's Accessorise where most girls start their love affair with jewellery before moving on to Topshop or Accessorize. I can still picture it now; God knows where it ended up, probably in my younger sister's jewellery box. It was a set of three bracelets each one a different shade of blue. I cannot see a similar bracelet on their website, but I did think of them as quite popular in the late 90s and early 2000s. Still, I wanted to know the intriguing story of where the tennis bracelet got its name. 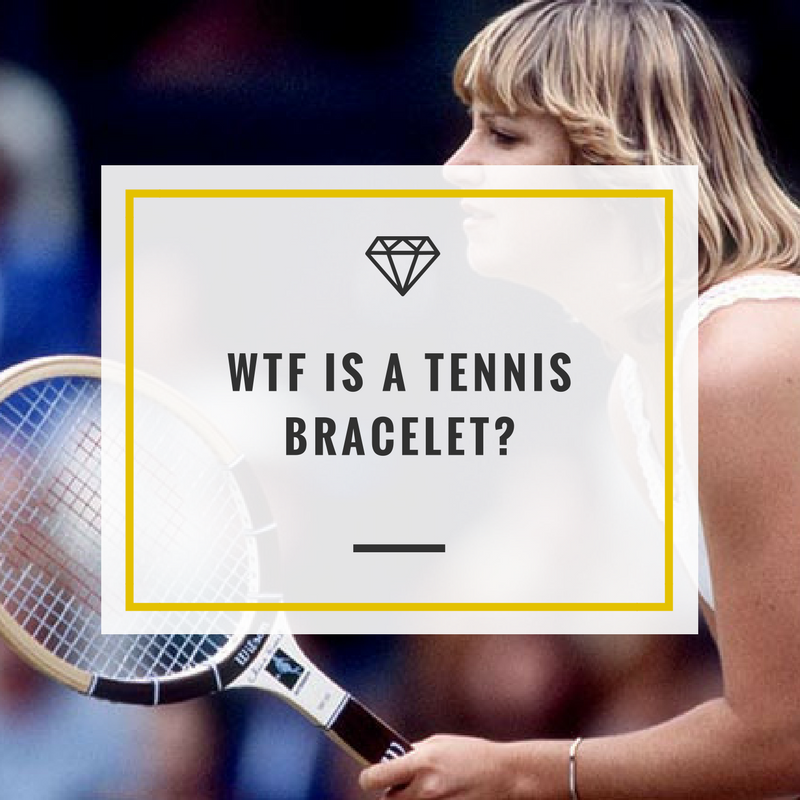 Was this an old name or a new name and what does this bracelet have to do with tennis? 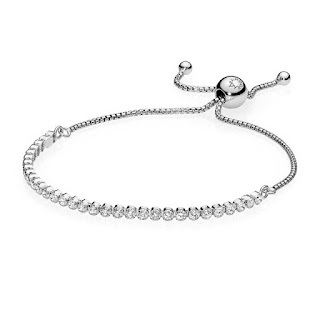 The Tennis Bracelet got its name from American tennis player Chris Evert. During the 1978 U.S. Open, her George Bedewi diamond line bracelet fell off onto the court. She exclaimed, "I've dropped my tennis bracelet". The match was put on hold until the bracelet could be recovered and soon after jewellers were flooded with requests for "tennis bracelets". 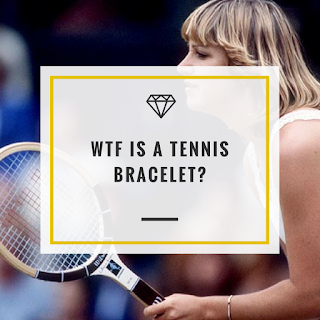 Since this match then diamond line bracelets have been called tennis bracelets. However, since then the clasp have been strengthed with more secure fastenings so similar accidents will not happen again. Although these bracelets are most popular in white gold or silver more modern designs feature coloured gemstones and yellow and rose gold. 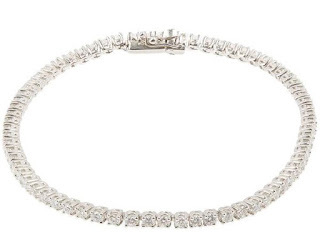 Here's my round-up of contemporary tennis bracelets.